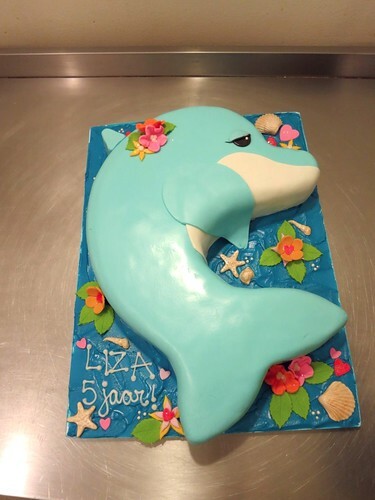 Dolphin Cake, a photo by CAKE Amsterdam - Cakes by ZOBOT on Flickr. 2D Dolphin Cake for around 30 people. FLAVOR : Vanilla Cake with whipped cream, homemade lemoncurd and raspberries.